RetinaLyze v1.3.1 has just been released! Version 1.3.1 introduces a requested search function, which allows users to search for clients using their name or ID. The function should aid the speedy retrieval of historic images. 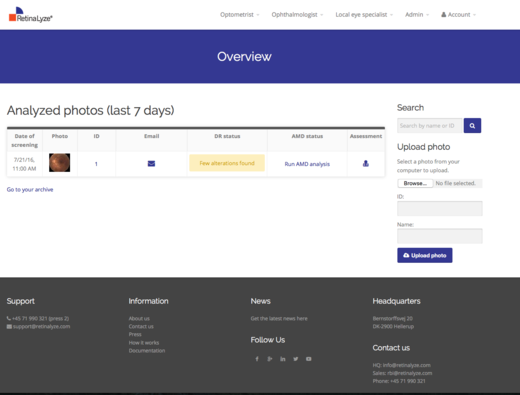 The search function can be accessed to the right on the Overview and Archive pages. Times and dates in RetinaLyze are now adapted to your timezone and local time/date format. Please let us know if you want to have your timezone changed. You can do this yourself in a future update.